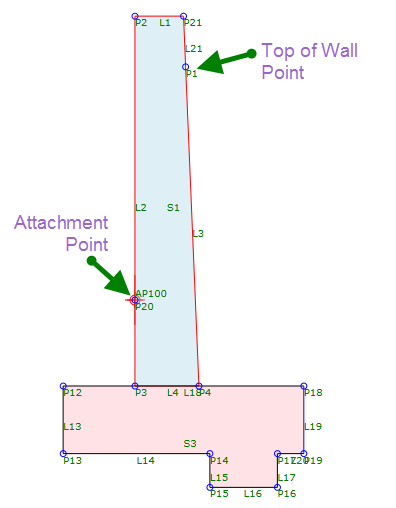 This subassembly inserts a retaining wall structure with one tapered side and a key at the bottom based on Caltrans Standard Plan 2010, B3-1 and B3-2 (Type 1). The attachment point is at the top of the retaining wall when Back Facing and on the face of the retaining wall when face facing. Link codes to use for the wall portion of the subassembly. Point codes to use for the wall portion of the subassembly. Point codes to use for the footing portion of the subassembly. Link codes to use for the footing portion of the subassembly. Specifies whether or not to use a barrier at the top of the subassembly based on Caltrans Standard Plan B11-55. The distance above the footing for the attachment point for another subassembly. Determines whether the footing is forward facing or backwards facing. Is used to find the footing dimensions to use in the subassembly based on the table in the Standard Plan. The profile elevation needs to correspond to the required wall height. For instance to get the 4 foot wall footing dimensions and batter, the profile elevation would be 4’. 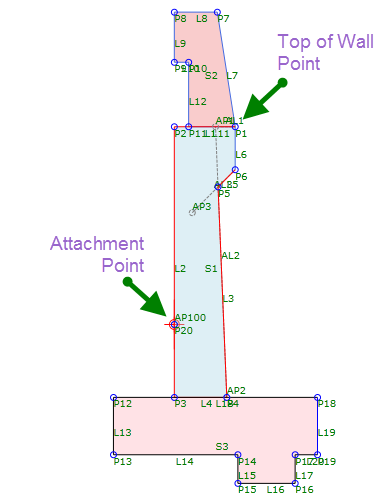 The following object types can be used as targets for specifying this elevation: profiles, 3D polylines, feature lines, or survey figures. 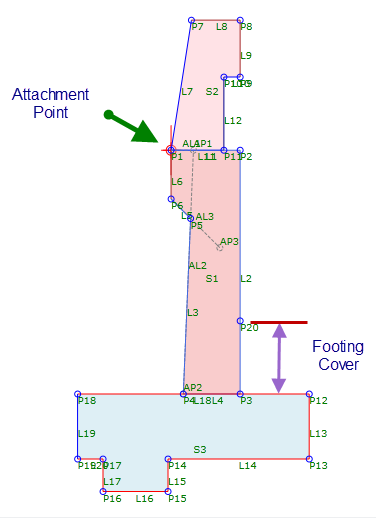 Is used to specify the top of footing elevation for the subassembly. 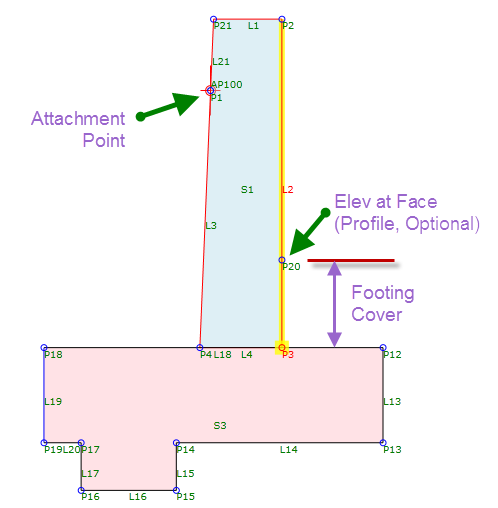 The following object types can be used as targets for specifying this elevation: profiles, 3D polylines, feature lines, or survey figures. Is used to specify the top of wall when the subassembly is set to the Face Attachment Point. Is used to provide a way to control the point P20’s elevation in relation to the Top of Footing. Is used only for when the subassembly is set to the Back Attachment Point. This subassembly can be inserted on either the left or the right sides. The attachment point is assumed to be where the finish grade intersects the inside face. The wall height is determined from the attachment point to the Top of Footing elevation in the profile. In layout mode, the subassembly draws the retaining wall shape as specified by a 4’ high retaining wall.